Walker Workshop is a Los Angeles based Architecture firm established in 2010 with the purpose of creating modern structures that are warmly minimal with careful considerations of light, space and the unique qualities of each project’s location. Our approach is also deeply rooted in craft and construction, with a rich awareness of the practical responsibility of making buildings. As a licensed General Contractor, we frequently build the homes that we design. This ethos of creative ownership for all phases of the work, from initial concept followed through to project completion, permeates our culture. Critical to our mission is the notion that a space, thoughtfully executed, can elevate the body and mind of its inhabitants; and while we do design homes for rock stars we also design for everyone that wants to live like one. We hope that we can elevate each of our projects to this level of art: with the same level of care and consideration that would normally go into a museum, church, or temple. For us to be successful we must design as if each of our projects will outlast us, heirlooms to be passed down for generations. This is why the entire spiraling journey of design and the relationships we build with our clients along the way is so important. In this era of ever more seductive visual tools, we prefer substance. Our finished work should speak for itself. Noah Walker is an American Architect and the founder of Walker Workshop, a design-build firm based in Los Angeles CA that is known for creating modern structures that are warmly minimal and deeply rooted in the context of their location. One of Walker’s first projects, the Oak Pass House went on to gain international acclaim including winning “Home of the Year” in 2016 as well as inclusion in the Arch Daily 100, a list of the 100 most important works of Architecture in the United States. Noah was a finalist for HGTV’s Fresh Faces of Design in 2017. Walker received his Master in Architecture from Harvard University and a Bachelor of Arts in the Growth and Structure of Cities from Haverford College, in Philadelphia PA. He has over fifteen years of experience on both coasts with a specific focus on design-build methods of project delivery. Noah is both a Registered Architect and a licensed general contractor in the state of California. A former movie producer who decided to return to his roots in carpentry and home remodeling. Dana hung up his suit, picked up his tape measure and never looked back. Now a licensed general contractor, Dana has managed a large fabrication shop, project managed retail builds for global brands and executed seamless art installations. He was recently general manager to an architecture firm overseeing multiple residential builds in Los Angeles where he became well acquainted with the splendors of the Los Angeles Dept. of Building and Safety. Originally from the Bronx, New York, where he will gladly tell you about his early days watching KRS-One and Grandmaster Flash perform in Cedar Park. Dana has his Masters in Business Administration from UCLA, has attended Cerritos College woodworking and furniture manufacturing program, as well as Art Center School of Design and Pasadena Community College. When not on-site, you’ll either find him ‘geeking’ out over a building science blog (…to vapor barrier or not to vapor barrier? ), questioning why he is still a New York Knicks fan or speeding east on the 10 freeway with his wife to get to Palm Springs. Dom joined the WAWO team in the summer of 2016 after graduating from Woodbury University with a Bachelor of Architecture. He has assisted with the design process on numerous projects, and also serves as the office Grillmaster. When not at work he enjoys rock climbing, camping, and visiting his family in the breathtaking Inland Empire. David brings with him 8+ years of experience in architecture, interior design, and construction. His career has been tightly focused in custom residential design, with a number of completed projects in a variety of traditional and contemporary styles. 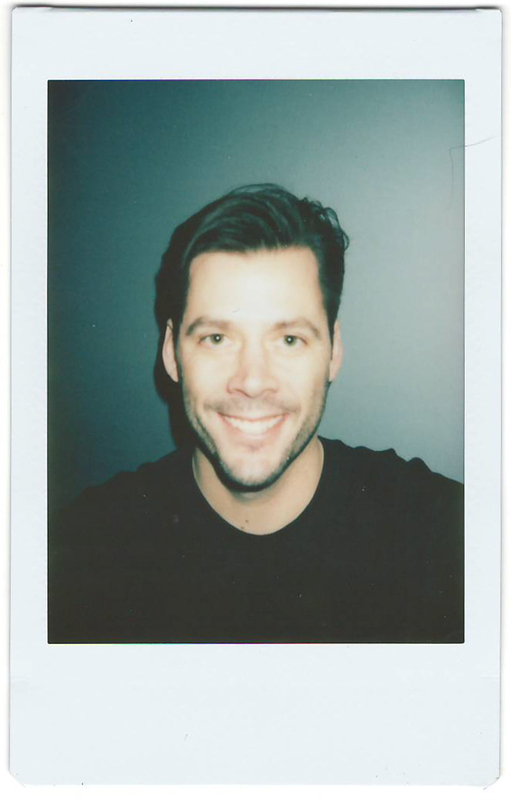 David holds a Master of Architecture from SCI-Arc and a Bachelor of Science in Biology from Indiana University. When not in the office, he can be found playing beach volleyball, tinkering on the piano, or thinking about his next meal. He grew up in Oceanside CA. a small beach town and joined The Walker Workshop team in 2012. He loves wood working and building custom one off pieces that really make him think. He also has a passion for using his skills to bring the fine details of WW designs to life at all scales. He also loves spending time with his wife and two kids and friends. Joining Walker Workshop in 2017, Charles is a licensed architect & resides as Studio Director, supervising each project from concept to construction document completion. He ensures that project teams have the required support to execute Client goals and maintain milestone deadlines. 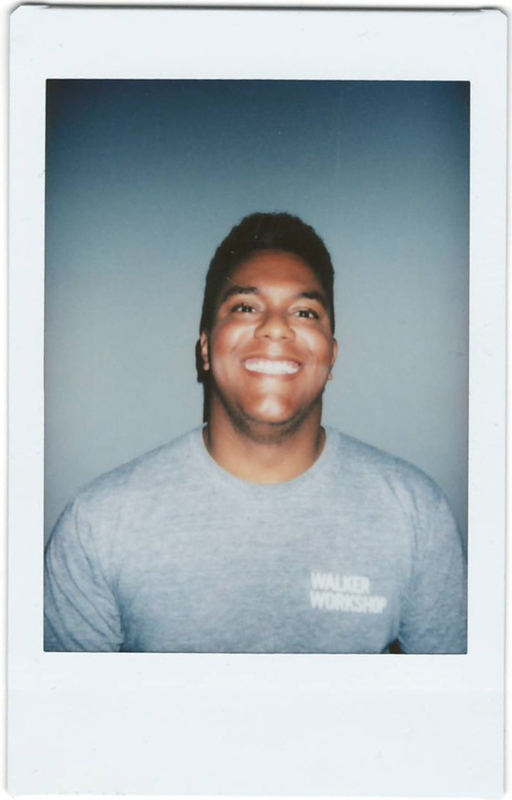 Charles aims to use his collaboration skills and varied management capacities to help make Walker Workshop's design & construction successful at all levels. Born and raised in Cleveland, Ohio, Charles is a graduate of Kent State University's College of Architecture & Environmental Design. His 14+ years of professional experience is anchored throughout the Midwest. During his tenure as project designer, architect and manger in Chicago, Illinois, he was able to effectively contribute to a wide range of project typologies, inclusive of single & multi-family residential developments, hospitality design, mixed use commercial development, not-for-profit & institutional design, corporate headquarters, strategic planning partnerships, corporate interiors and installation design - all within renovation and new construction frameworks. Through his extensive architectural and construction leadership roles, he also brings in-depth collaboration experience with steering committees, neighborhood groups, agencies, political leaders, and design review boards. Consistently involved with academia, he has been a visiting critic at various universities and served as a professional practice lecturer and mentor with the Virginia Tech Chicago Studio and Archeworks. At any given opportunity, Charles loves exploring all California landscapes and the National Park system. A veteran of the American automobile adventure, he has visited 40 continental states and traveled abroad to a dozen countries, finding inspiration at all corners of the globe. DeAnna has been with Walker Workshop since 2013. She has a Bachelors Degree in Accounting from Bloomsburg University, Pennsylvania and an MBA from the University of Central Florida. When not at the office, DeAnna can be found trying her hand at home renovation projects. Foster received an MArch from UC Berkeley and a BFA from the University of Washington. Prior to pursuing a career in architecture, Foster maintained a studio art practice in Seattle focused on sculpture and installation. In the past, he has worked as a fabricator, a glass blower, and a cook. Rock climbing occupies most of his efforts outside of work. Someday he'll try surfing. Sean Gaffney is a graduate of the Cooper Union School of Architecture, registered architect and certified passive house consultant. He has practiced in both New York and Los Angeles on a wide range of built work. After enduring ten years of bitter cold he decided to make his way to the desert. He often wonders how the vast wilderness of Los Angeles and the densely packed corner bodegas of New York can coexist. Derek received his Master of Architecture from the University of Michigan and also has degrees in engineering and art. His varied interests developed from an early exposure to the sciences and arts and finally led him to architecture. He is a registered Architect and his experience in the discipline ranges from large-scale planning work to mid-size commercial projects to single family homes. He particularly loves working on projects that have an elegant, holistic and clear philosophy. When not at Walker Workshop he loves spending time with his wife, friends and family and is always available to go sailing or skiing. He used to be suspicious of cats, but Kimchi (our resident cat) has changed his mind. Will Pyatt earned a Bachelor of Architecture from Rensselaer Polytechnic Institute and joined Walker Workshop in the summer of 2015. He brings prior professional experience from Evan Douglis Studio, Tom Wiscombe Architecture, and Woods Bagot. Outside of work, he maintains an interest in fly fishing and skiing. His dog sheds constantly, but he doesn't really notice the fur anymore. Joe Mathias specializes in all phases of the architectural project, from early schematic design to the caulk gun. He has previously worked in the offices of Johnson Favaro, Adamson Associates Inc., Jones Partners, Montalba Architects, Arya Group, and Ace Gallery. In June of 2012, he completed a Master in Architecture degree at UCLA, and in 2009 completed a Bachelor of Science in Architecture at the Ohio State University's Knowlton School of Architecture. His academic research at Ohio State allowed him to travel to Italy, France, and the Netherlands in 2008, as well as Finland and Sweden with UCLA (in conjunction with Aalto University) in 2012. When not at the office, Joe enjoys painting, tennis, watching the Golden State Warriors, and spending time with the love of his life, Amy. Megan joined Walker Workshop in the summer of 2018. Born and raised in Miami, FL Megan ventured to the south to study at Auburn University. While at Auburn, she earned a dual Bachelor of Architecture and Bachelor of Interior Architecture. For her thesis, she participated in Auburn University's Rural Studio where she spent two years in Newbern, AL designing and building a Fabrication Pavilion for the studio. After spending all her life on the east coast, she decided to make her way to Los Angeles so she could live a life mostly free of humidity. Prior to joining Walker Workshop, Marianne focused on residential and commercial projects in Santa Monica, Boston, and New York. Her professional experience includes participation in architecture, urban design, structural engineering, collaborative research, and exhibition planning. She received her Master of Architecture from Harvard's Graduate School of Design and her undergraduate degree in Civil and Environmental Engineering from Princeton University. She loves cats. While Matt has a BA from Brown University in Mathematical Economics, he was ultimately drawn back to the world of construction and custom home building that was once the source of school year spending money while on winter and summer breaks. Matt is currently the the site manager of our construction project on Lina Flora Dr.
Kimchi received his undergraduate degree at the School of Hard Knocks in Koreatown, Los Angeles and specializes in demolitions. and is an expert in AutoCAT. He enjoys long naps, playing hide and seek, model making, and eating snacks.